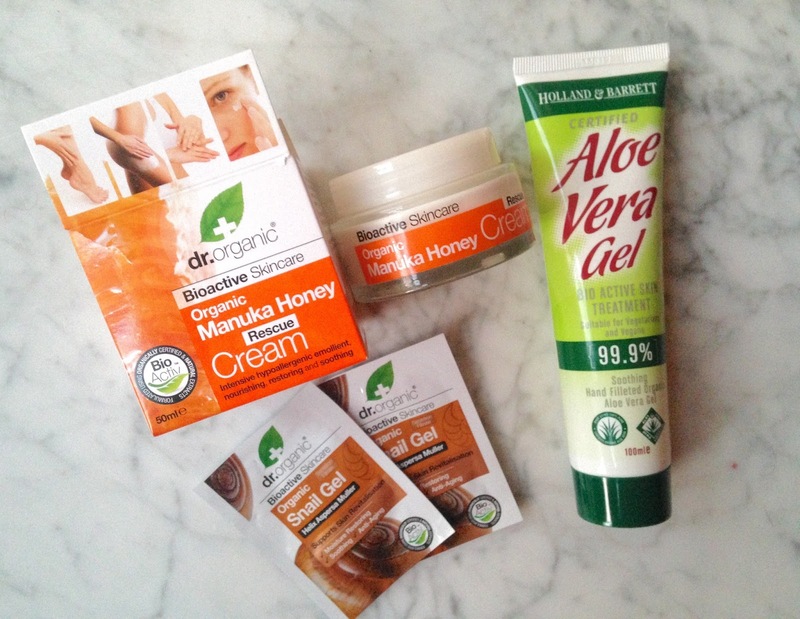 Holland and Barrett's Saved My Face! Hope you are enjoying the EBONI & IVORY! So this post is about the time Holland and Barrett's products saved my face! A little while ago, I was a little stressed over about 5 film auditions that were coming up. I think this stuck with my subconscious because, while I was sleeping, I managed to scratch my forehead pretty seriously! I already had a few pimples from clogged pores and I managed to scratch them all off and leave some pretty bad scars. After a day, they scabbed over and left my forehead covered in these awful marks. I freaked out a little bit, calling my friends etc. The worst part, was that the upcoming auditions were for films! Meaning, I would be recorded close up on camera. I tried using make up which corrected the redness, but just sat on top of the scabs leaving visible bumpy, acne-looking marks. Unfortunately this didn’t fade by the time my 3 auditions in one day came, I had to pick myself up and not let the situation affect or ruin my auditions! Any way, the horror continues when I realise I have a WEEK until a filming day for a web series I have a part in all the way in Oxford! I needed to book my £60 train but I was worried my forehead wouldn’t have healed by then. So one day before work, I headed to Holland and Barrett’s London Embankment store. I got chatting to a member of staff “Simone”, who was SUPER helpful! I told her what had happened and she advised me on a “rescue”, “restorative” cream called Mankuna Honey Cream (£8.99). I had read about mankuna honey properties when researching getting rid of spots, and I thought I may as well try it! It was ‘Buy One Get One Half Price’ so I picked up some Aloe Vera Gel (£3.99), which is supposed to be good for burns and scar healing. Simone was really sweet and threw some free samples of ‘Organic Snail Gel’ in my bag (don’t gross out just yet!). She explained to me that in a certain part of the world, there were some farmers who work really hard and end up with lots of cuts and scars on their hands. They found that the properties in the snail slime help to heal their skin quicker! I couldn’t wait to use it! I can’t say for sure which product helped the most as I was using them all at the same time. But I can tell you, a MIRACLE happened on my face! In TWO days, my scabs were flaking off and revealing just some pink skin that was 80% healed underneath. With a little make up to colour correct the pink areas, my skin had never looked better! The bumpy spots I have scratched off were gone! I am so grateful to these products and would DEFINITELY recommend them to anyone who needs fast healing of cuts, scrapes and scratches. I applied the products liberally as they are completely natural. Also combined with washing my face twice a day really helped. REMEMBER: Do not pick at any scabs! Allow them to flake off naturally as this means the skin underneath has healed! I Smell Like Taylor Swift!